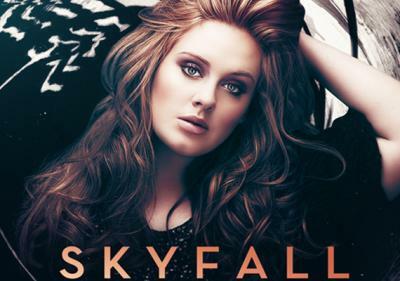 And Adele is shining again, this time singing a theme song, "Skyfall", for the 23rd James Bond movie. The song is written by Adele and Paul Epworth, who co-wrote and produced worldwide number-one single "Rolling in the Deep" from Adele's album 21, and features orchestration by J. A. C. Redford. The song was released on Friday, October 5th 2012 as part of "Global James Bond Day", celebrating the 50th anniversary of the release of Dr. No, the first James Bond film. An initial reaction to the song points to the slow tempo at which the song walks, a characteristic unlike many of the previous Bond themes, but this may suit the upcoming film. "I was a little hesitant at first to be involved with the theme song for Skyfall. There's a lot of instant spotlight and pressure when it comes to a Bond song. But I fell in love with the script and Paul had some great ideas for the track and it ended up being a bit of a no brainer to do it in the end," Adele said in a statement. "It was also a lot of fun writing to a brief, something I've never done which made it exciting... I’ll be back combing my hair when I'm 60 telling people I was a Bond girl back in the day I'm sure!" The song went to number one immediately on iTunes online store, surpassing the previous UK number one, "Diamonds" by Rihanna. New James Bond movie "Skyfall" is due in theaters on November 9th.